10 things you might not know about THE TERMINATOR | Warped Factor - Words in the Key of Geek. 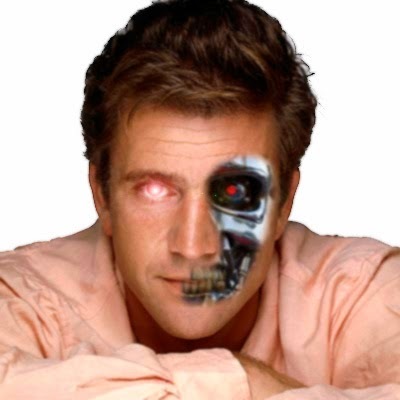 Geek Dave serves up 10 trivia nuggets from the original 1984 classic, The Terminator. "I wish I hadn’t sold the rights for one dollar. If I had a little time machine and I could only send back something the length of a tweet, it’d be – ‘Don’t sell.'" Although he was paid a reported $6m to write and direct T2, he has never seen any money from any of the subsequent films, TV shows or merchandising. 2. When pitching the concept of the character in meetings, James Cameron used Lance Henriksen dressed as the Terminator for effect. Henriksen would go on to play Detective Hal Vukovich in the movie, and team up with Cameron again in 1986 for Aliens. 4. Other famous people who could've ended up in the movie include Bruce Willis and Sting, who were both considered for the role of Kyle Reese. And Geena Davis and Jennifer Jason Leigh both auditioned for the role of Sarah Connor. 5. Arnold Schwarzenegger was originally considered for the role of Kyle Reese. During the audition James Cameron stopped Schwarzenegger talking so that he could sketch a picture of him as the Terminator. The rest is history. 6. Orion, who financed the film, suggested that Kyle Reese should have a companion traveling with him from the future. This faithful friend would be a cyborg canine. James Cameron said no! 7. It was during The Terminator that Arnold Schwarzenegger first spoke his famous catchphrase "I'll be back". However in the script the line read as "I'll come back", not quite the same is it? 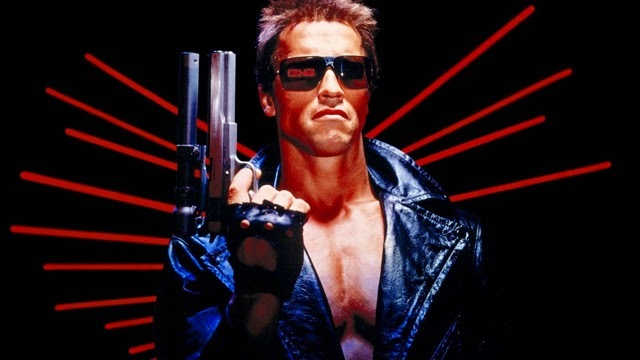 When Cameron decided the line would flow better as "I'll be back", Schwarzenegger asked to change it to "I will be back" as he had difficulty pronouncing the word I'll properly. Cameron refused but agreed to shoot the line multiple times and use the best take. He's now said that catchphrase in at least 14 other films. 8. Arnold Schwarzenegger says just 58 words in the whole movie. 9. James Cameron makes a small cameo in The Terminator. When Sarah Connor (played by Linda Hamilton) receives a message on her answering machine from a man cancelling their date, this is Cameron's voice. 10. The Terminator was actually the most successful movie in the whole franchise for return on investment. At a budget of just $6.4 million it went on to gross $80 million worldwide, that's over 12 times the budget. Terminator 2: Judgement Day cost $100 million to make and yielded $500 million worldwide - not chump change by any means but just 5 times the investment. Goes to show that you really don't need mega bucks to produce a class action movie. The trivia continues here with 10 things you might not know about Terminator 2: Judgement Day.